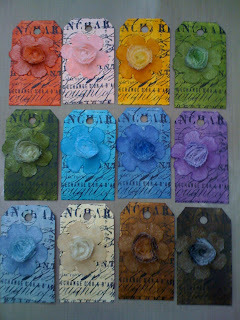 I created this card with my new favorite die from the Tim Holtz Alterations line. The dress form, spool and button are all part of the die called sewing room. Gotta have it! The base card was embossed with the pattern & stitches texture fade and then distress ink was applied with an ink blending tool. The dress form was die cut from grunge board and sticky back canvas. The grunge board was painted with a pitch black paint dauber and the canvas was painted with distress stain. Embellish with Idea-ology fanciful buttons, ruler tape, philosophy tags, jump rings and trimmings. All these products can be found at Stampers Corner in Elk Grove. They just received a huge shipment so hurry down while they still have some left. I hope everyone had a great weekend and you all found time to play. Check out the Ranger Blog here and find out how I made this Sweet Birdie Tag. I'm looking forward to teaching this weekend at Stampers Corner. You can see my classes here. I was playing last night with the New Distress Stains. They are so easy to use and the colors are fabulous. I hope you take some time this weekend to create a little something. Here is swatches of all 12 colors. Believe me you need them all. I have been cleaning my studio and came across these cards from a class I taught last month. This would make a wonderful gift for someone special. Hero Arts has everything you need to make these lovely cards. 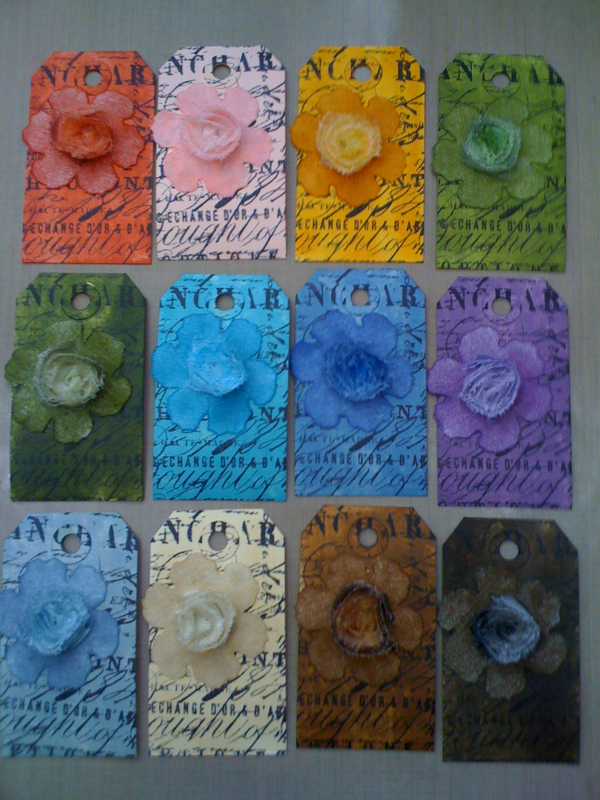 From the stamp, inks, ribbon, gemstones and to even the notecards and envelopes.